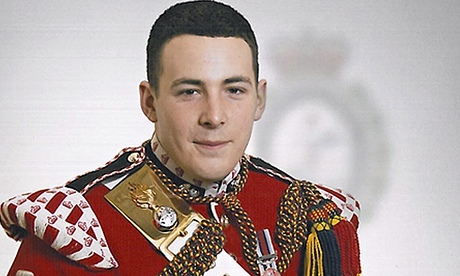 The two terrorists who murdered British soldier Lee Rigby on a south London street fought with guards yesterday in the dock of the court yards from the grieving family of the soldier they butchered as a judge sentenced the mastermind of the attack to die in prison. Michael Adebolajo, 29, who hacked at Rigby's head, was sentenced to a whole-life term for leading the first al-Qaida- inspired terrorist attack on British soil to claim a life since the 7 July bombings eight years ago. The sentence means he is unlikely to ever be released. His accomplice, Michael Adebowale, 22, who stabbed at the soldier's torso, was ordered to serve a minimum of 45 years in jail. Both men had been convicted unanimously by a jury in December. 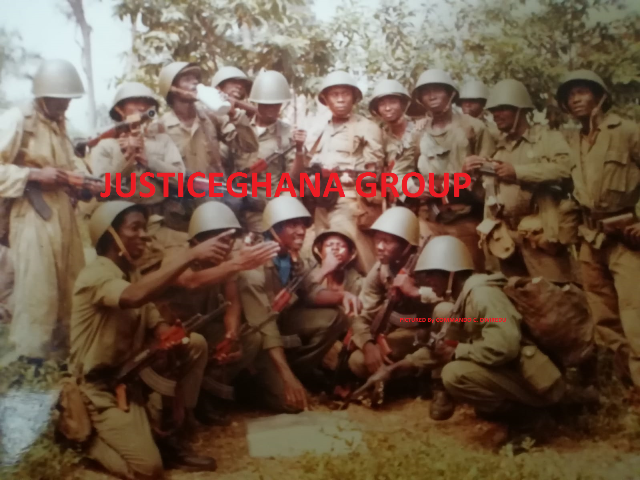 The men disrupted sentencing at the Old Bailey, with the dead soldier's family sitting nearby, as the judge, Mr Justice Sweeney, branded them traitors to their religion. The judge began sentencing for the "sickening and pitiless" attack by saying that Adebolajo and Adebowale were converts to Islam who became radicalised and extremists. Adebolajo had claimed his act of butchery was a military strike commanded by God and that he was a soldier of Allah. The judge said their actions were "a betrayal of Islam and of the peaceful Muslim communities who give so much to our country". Adebowale shouted "that is a lie" at the judge, later shouting "you know nothing about Islam" in Sweeney's direction. After more barracking, the judge said: "Gentlemen you have a choice"– only to be interrupted as mayhem broke out. Adebowale shouted: "I swear by Allah that America will not be safe." At that point Adebolajo joined in, shouting "Allahu Akbar" ("God is greatest"), and nine security guards flanking them in the dock grappled with the men. Adebolajo was pinned to the ground, his legs in the air, before being carried out head first to the cells. Adebowale was also dragged out. The violence lasted over a minute and was so severe that protective screens over the dock rocked as scuffles continued. The disturbance broke out yards from Rigby's family, some of whom were left in tears by the fresh violence from the pair who mutilated their loved one. The judge continued sentencing after the killers had been removed, with the agreement of their lawyers, in what was already a unique exercise in English criminal history. The pair were the first al-Qaida-inspired terrorists to carry out their plan to murder on British soil without killing themselves in the process to come before an English court for sentencing. The savagery of the murder on 22 May 2013, in which Rigby, 25, was repeatedly stabbed and hacked in the neck with a cleaver, tore at community relations. Adebolajo and Adebowale had waited for a victim as they turned British soldiers into prey, stalking them near Woolwich barracks in south London. After running Rigby down with a car and pulling his body into the road, mutilating him so badly that he had to be identified from dental records, they remained at the scene and encouraged people to take pictures with their mobile phone cameras. Adebolajo was filmed at the scene brandishing a cleaver and a knife in his bloodied hands, and with the body of Rigby lying metres away, saying: "The only reason we have done this is because Muslims are dying every day. This British soldier is an eye for an eye, a tooth for a tooth." The judge cited the political and ­terrorist motivation of the crime as part of his justification for passing a whole-life tariff on Adebolajo. Such sentences are meant to be used rarely and only in the very worst cases. As murder carries a mandatory life sentence the only issue for the hearing was what minimum term the pair should serve before they could be considered for release. The judge had delayed sentencing until a court of appeal ruling clarified whether those convicted of the most serious murders could receive sentences meaning that they would never be released. That ruling came earlier this month and paved the way for a whole-life term to be imposed. Sweeney told Rigby's killers that even though one person had been killed, a whole-life term was deserved for ­Adebolajo, for whom there was no hope of rehabilitation. The judge said that for Adebowale his lesser role, age and "pre-existing and continuing mental condition" meant he would escape being sentenced to die in prison but would instead spend nearly half a century in jail before any consideration could be given to his release. He said: "It is no exaggeration to say that what the two of you did resulted in a bloodbath. You both gloried in what you had done." Adebolajo has decided to appeal against his conviction, claiming the judge made legal errors. There is little expectation that he will succeed.